Veteran's Day is November 11th. Winship is full of medical heroes who have also served our country. Pictured above Trevor Lim, MD is a Lt. 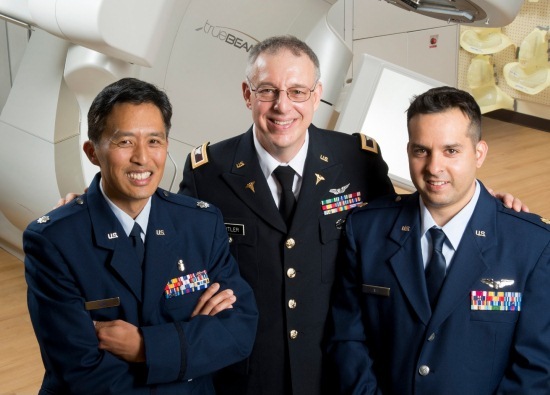 Colonel in the U.S. Air Force, Jonathan Beitler, MD is a Colonel in the Connecticut National Guard, and Arif Ali, MD is a Major in the Georgia Air National Guard. Look for a full feature on Winship's military heroes in the new fall issue of Winship Magazine. Winship lung cancer expert Suresh Ramalingam, MD was a featured speaker at the signature annual event in Georgia for the American Cancer Society Cancer Action Network (ACS CAN) on Nov. 5. 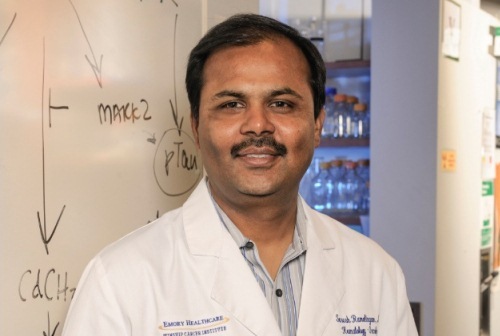 Ramalingam spoke about the use of low-dose CT scans to detect earlier stage lung cancers and genomic testing to more effectively target treatments, and he emphasized the need for supporting this research. Over one hundred clinicians, researchers and other health care professionals participated in the 6th annual Winship Gastrointestinal Symposium on Saturday, November 7. Topics included novel therapies in the treatment of GI malignancies and best practices in managing patients with advanced disease. This year's program directors are Shishir Maithel, MD, Bassel El-Rayes, MD, Field Willingham, MD and Ken Cardona, MD (not pictured). 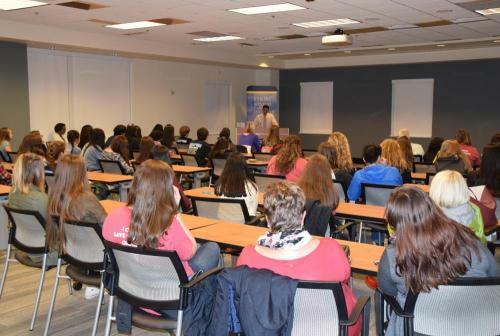 Several dozen high school students from around Georgia visited Winship on November 2nd to learn about career paths in health care and tour our cancer research labs. The event was part of the Georgia HOSA Future Health Professional's fall leadership conference. 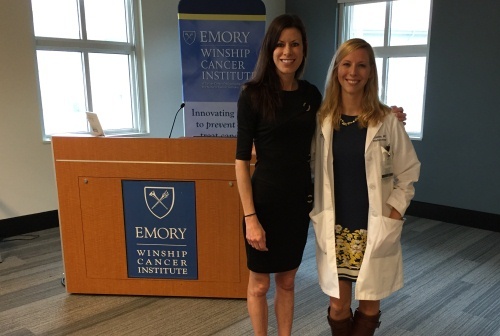 On November 5th, Winship specialists Kristin Higgins, MD and Carla Berg, PhD discussed lung cancer screening and treatment, tobacco dependence and smoking cessation during a Healthy Winship brown bag event. Healthy Winship events are free and open to the public. Maha Hadi Hussain, MB, ChB - "Metastatic Prostate Cancer: Translating Biology into Therapeutics"
Bernardo A. Mainou, PhD - "From Virus Cell Entry to Improved Oncolytics"
(The next Elkin Lecture will take place on November 20.) View full CME calendar. Winship members published studies in major medical and scientific journals in October. View a list of first and senior author papers. View a selection of cancer-related federal and private funding opportunities.